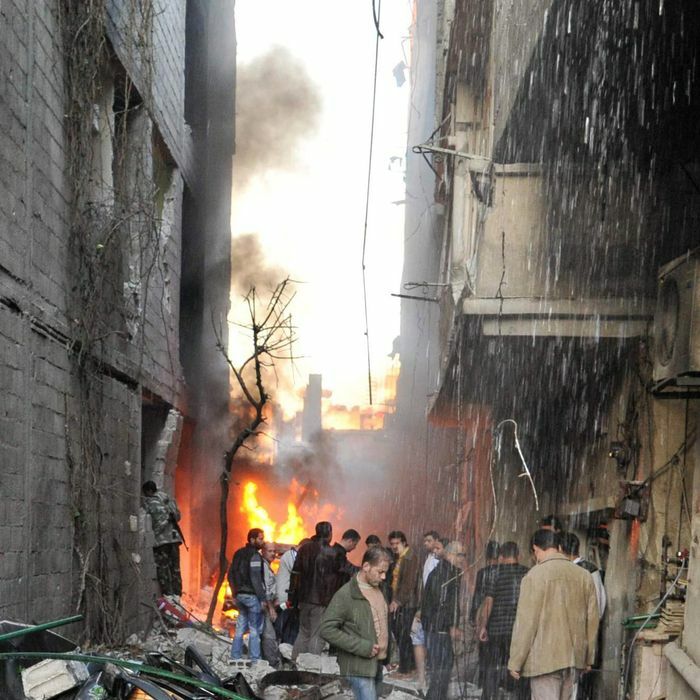 The scene in Damascus a few days ago following a car bomb. The United States has become alarmed in recent days owing to signs that Syria is moving its chemical weapons. The AP reports that officials are “trying to figure out what the Syrians are doing,” while the Times has been told that “‘the activity we are seeing suggests some potential chemical weapon preparation,’ which goes beyond the mere movement of stockpiles.” Hopefully this is all just a big misunderstanding and Syria is simply rearranging the positions of its chemical weapons in a feng shui kind of way.